We're delighted to announce that Adam will once more represent the UK in this year's Bocuse d'Or European final which takes place in Stockholm. 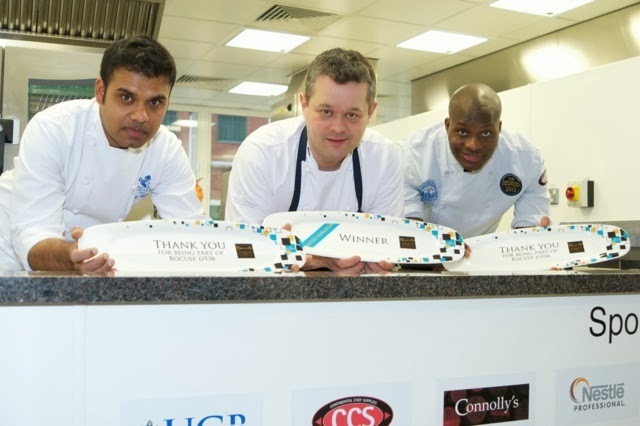 Adam took part in a national selection on January 6th, competing against Craft Guild of Chefs National Chef of the Year 2012, Frederick Forster from The Boundary and Raj Holuss from The Ritz. 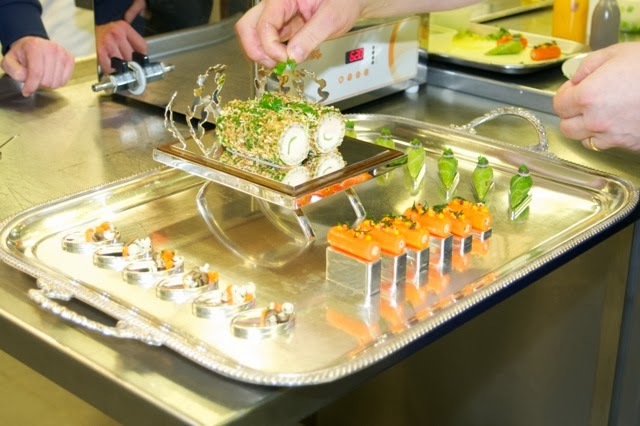 Each chef had to prepare and cook three different garnishes to accompany a chicken ballotine. The chicken and garnishes had to be presented on the silver flats provided. Adam first expressed his interest in taking part in the Bocuse d’Or for a second time last Summer but his position was only confirmed following a cook-off with two other potential candidates. He competed against Craft Guild of Chefs National Chef of the Year, Frederick Forster from The Boundary and Raj Holuss from The Ritz. Each chef had to prepare and cook three different garnishes to accompany a chicken ballotine. The chicken and garnishes had to be presented on the silver flats provided. Adam’s winning platter was ballotine of French farmed chicken with wild mushroom and truffle mousseline with fricassee of leek and chicken leg, carrot with chicken, tarragon and mustard, potato and cȇpe croquette with pickled mushroom, savoy cabbage with bacon, chicken jus and sherry vinegar. The Bocuse d’Or UK Academy National Selection for 2017 will take place at Hotelympia on April 28th, 2013. For more details and to receive an entry form, please email Michelle Diederichs - michelle@koyahpr.co.uk.